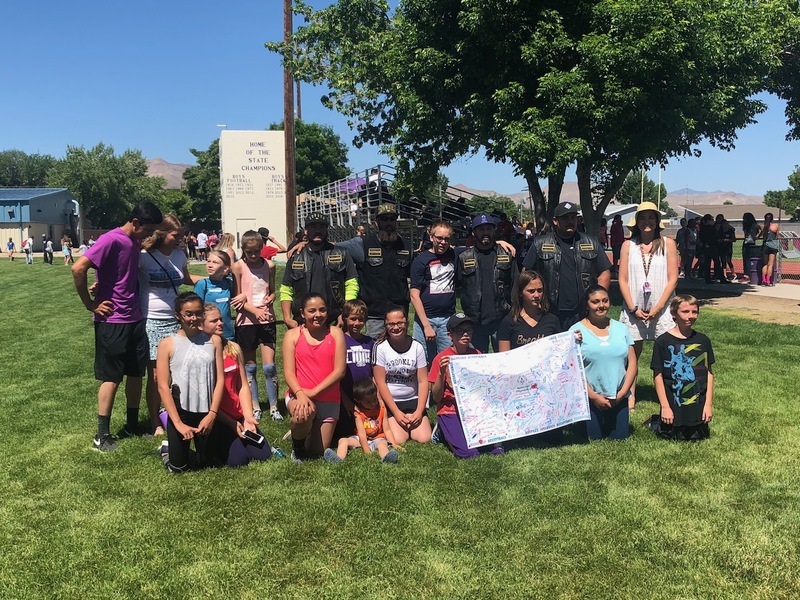 This year Yerington Intermediate School held its first interclass track meet, which was also the first Special Olympics event for YIS. Jordan Clements-Fitts was the coordinator through Special Olympics Nevada. Also pictured is Arcane, a local motorcycle group in Yerington. Arcane has very graciously donated money to both the YES and YIS lunch programs, paying all of the unpaid fines. 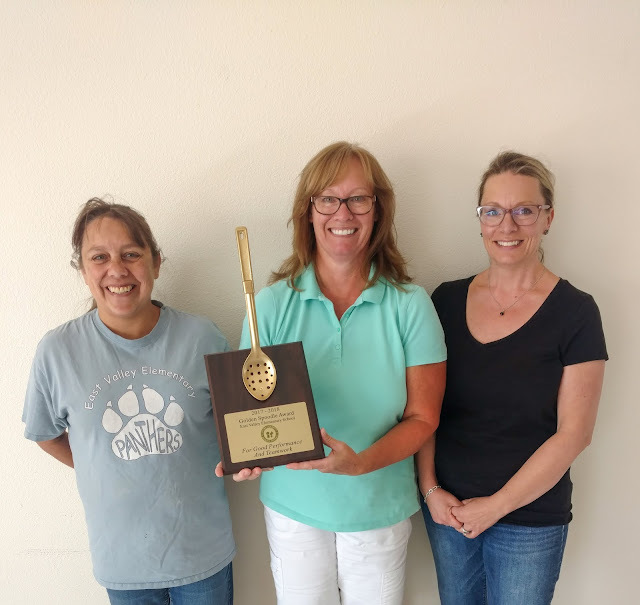 They also donated $400.00 to the YES and YIS CLS program, allowing them to take their students to the Terry Lee Wells Discovery Museum in Reno.